Diary of a Storyteller: Make your book look good! Make your book look good! The other day I was scrolling past my newsfeed on facebook when I came across a book cover that had a title I couldn’t read. The author was a friend of a friend I respected, so I had the courtesy to click on the link. As I read the title on Amazon and thought “Ohhhh… that’s what it says”, I realize I would never buy this book. I couldn’t be arsed with it, because it couldn’t even deliver on clarity. Time for me to get on my soapbox. Sorry about this, I don’t like doing it, but I have something to say. Every day I see dozens of covers for new books come by, and there are always a few that make me cringe. Covers that look like they are drawn by amateurs (sometimes even worse, they look like someone’s child drew them). They often have illegible titles and look unprofessional. A bad cover is like having an unwashed salesman with urine stains on his trousers trying to sell washing powder. That’s what a bad cover implies… you didn’t spend enough time and energy on a book to make it good. Now, anyone who knows me knows my stance on the ‘importance of editing’. Don’t put your book out there before it’s finished. No matter how good a writer you are, you NEED an editor to go over your work. You have a blind spot, we all do, and an editor can point out certain things to you. don’t have a curry. A cover is important, just like editing, formatting and writing your blurb. A reader won’t know how good your story is unless you sell it to them. The only opportunities you have is through your cover and your blurb. 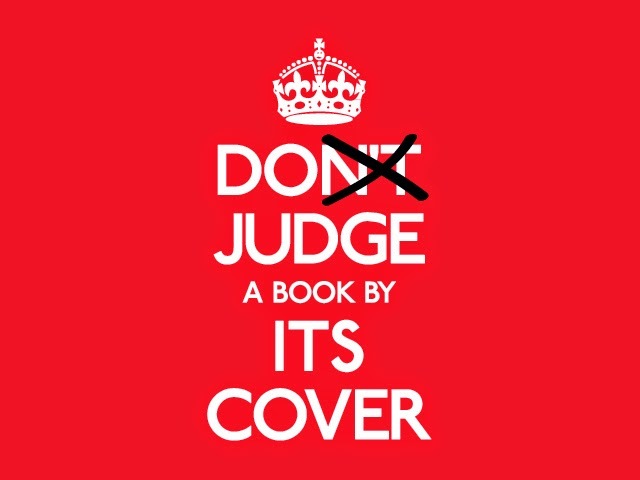 It’s true… there are a few people out there that won’t judge a book by its cover. Most of those people will be your friends and family. 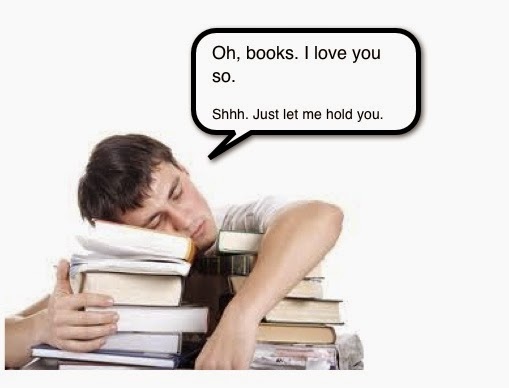 They will read your book no matter what. Some might even be strangers…. But it won’t be many people. TRUST ME. 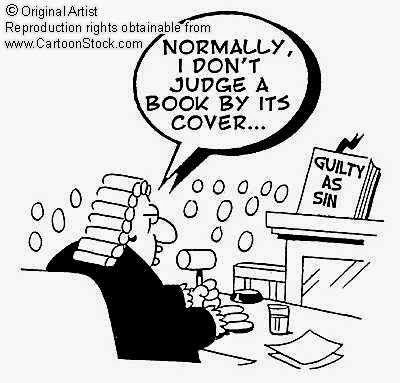 Even most people who say they don’t judge a book by its cover, secretly do. They just don’t realize they are doing it. And that’s fine. But you want to sell your book, so make it look good. and all the other things that come with being a publisher. If you can’t do this… find a publisher that will do this for you. If you have made a cover, for the love of something, run it by some other people. 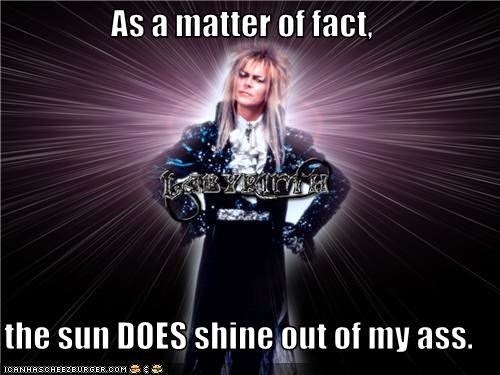 Not friends who will tell you the sun shines out of your arse… find those people that have an eye for it and an opinion about covers. Ask them what they think and don’t get sad if they don’t like it. If you ask five people and three are critical about it… fix it. 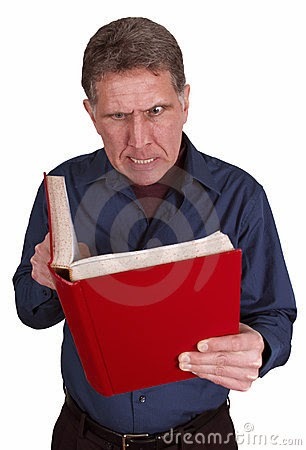 Look at professionally published books. See the covers that appeal to you, and let those inspire you. You don’t even have to like the books, it’s not about that. It’s about what wills sell. Having said that… make sure your cover fits your book. Because otherwise you lose the trust of your reader. This happened to me. I picked up a book with two ghost girls on the cover… who ended up not being in the book at all. I was confused and disappointed and really didn’t like the book because it was different from what I expected. The blurb had been misleading a bit too. 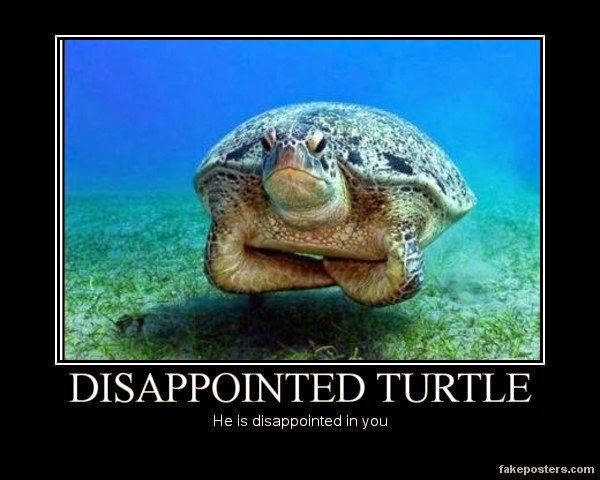 frustrating than when you think you are going to read a fantasy novel and you end up reading a romance… it won’t matter how good the book is, you’ll be disappointed. It’s like wanting to drink milk, but finding you are drinking buttermilk instead… the drink will taste spoiled. It’s not always easy to categorize your novel. I suffer from this myself. The Coyote series is a slipstream series and I still struggle to find a proper home for it. It’s a Steampunk-Western-Science Fiction novel with elements of Fantasy. Try finding a home for that. My point with all this is: Readers are harsh. If you lose their interest, it will be difficult getting it back. I am a perfect example of this. Last year I did a lot of reading. 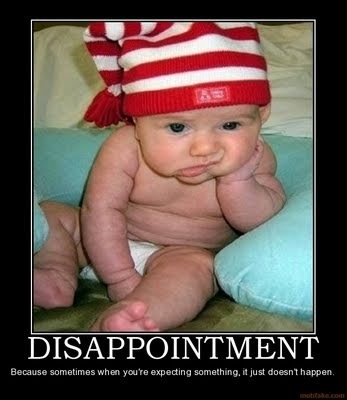 I read some wonderful books, but there were a few that really disappointed me. One anthology I read began with a story where almost every sentence started with the word “He”. After a paragraph or two I was annoyed. It was illegible, and yet this publishing company put this out into the world. Obviously it didn’t have a proper editor go over it. I tried another two stories, that were also poorly edited and not only gave up on the anthology, but decided the publishing company wasn’t worth my time. I’ll probably never buy something from them again, nor will I ever submit to them. Because readers are harsh. 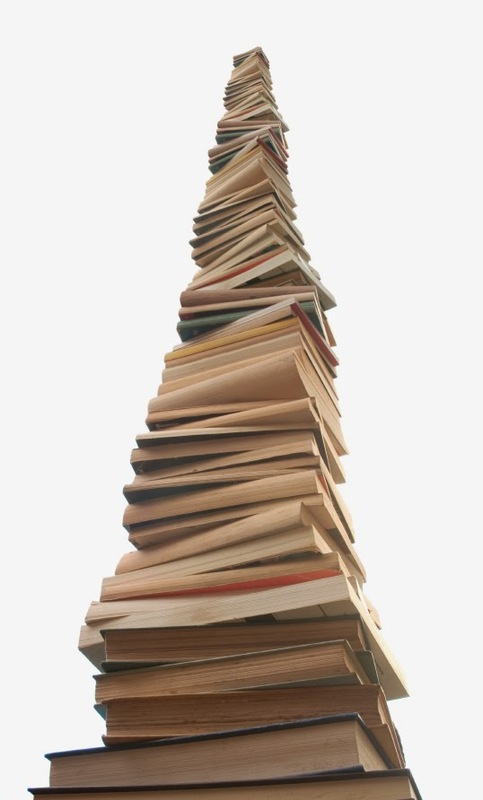 And there are a lot of books out there that WILL be to my liking. would anyone bother with you again? I know these are words you don’t want to hear, but this is a reality. If you write on a professional level, you need to deal with the professional world of writing. Which means it’s not all kittens and rainbows. It’s a business, and you need to treat it as one. Get as much help as you can. Ask friends to help you, save up for professionals, or find a publisher that’s willing to get your work out there on a professional level. This all sounds like a lot, but it doesn’t have to be. No one is asking for utter perfection, but there is a big gap between your work looking professional and looking like amateur hour. You don’t want the latter. And there is always room for growth and always room for improvement. Even with big time traditionally published professional writers, none of us are perfect. But it’s good to strive towards it. 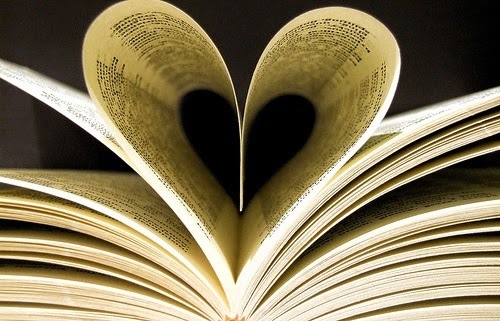 To give your book some love. Why spend months, maybe years, writing a book and then putting it out there looking like something that’s unloved? Think about what you are doing and make the right choices. 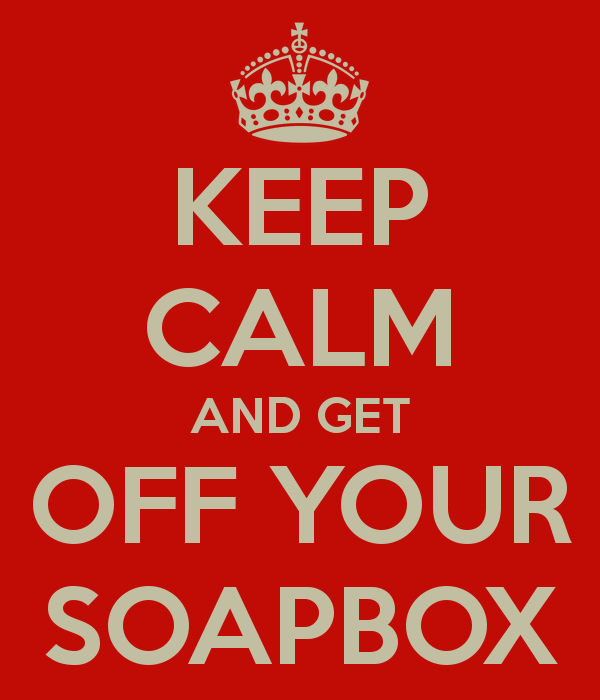 I shall step from my soap box now, and wish you all a great day.